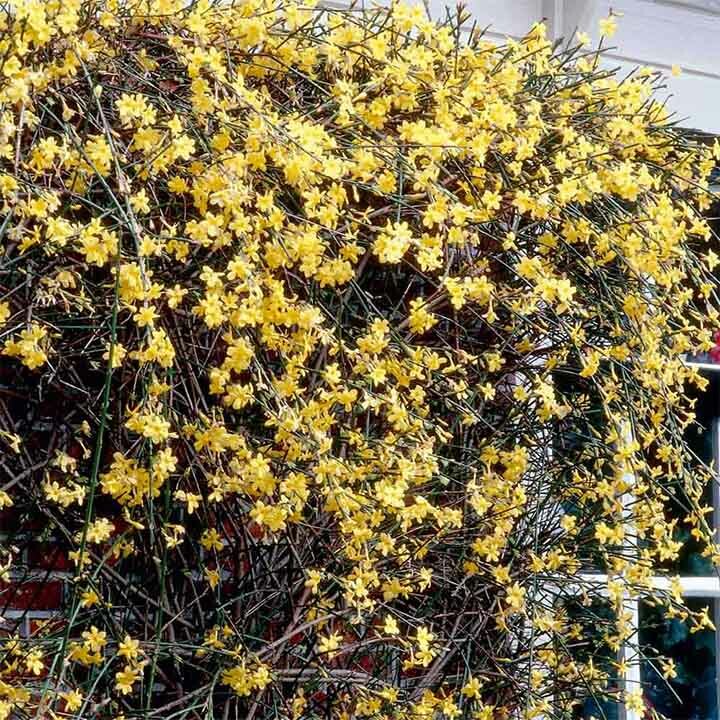 When it's difficult to find brightly coloured flowers during the winter months, the winter flowering jasmine will brighten up many walls and fences. 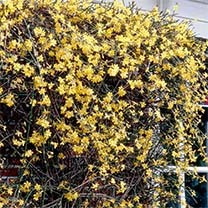 The cheery bright yellow flowers are produced in profusion on the attractive, green, bare stems which further enhances the flowers which are produced from January-March before developing attractive foliage which provides a further distraction from the chosen wall or fence. Easy to grow and maintain throughout the year. Supplied in a 2-3 litre pot.